TRS promised as to construct two lakhs double bedroom houses before the election, otherwise, won't ask for votes in the next election, they said. How many double bedroom houses have been completed so far. how many are there who did not start the foundation stone for the construction of the house.How is this program executed? How is the performance of TRS leaders in Double Bedroom homes?The fate of the leaders in the upcoming elections on the implementation of this scheme.Sarkar has taken a double bedroom scheme to fulfill the own house dream of poor people.The Telangana government says that the double bedroom houses will be constructed before the end of five years.TRS leaders announced they won't ask for the votes in the next election if they didn't construct two bedroom houses to the poor.But the speed double bedroom houses in the words of the leader does not appear in the construction of the house. The development of double-bedroom house constructions in the state can be understood. Only about 5 percent of the sanctioned houses have been completed. 10% are in construction. In the majority districts, there is no foundation for double bedroom houses. In the state, the double bedroom houses are still in the state. This is not the condition that the promise will be fulfilled by the election. KCR, Rao, Tummala Nageswara Rao Double Bed 3353 double bedroom houses have been completed in the district of Chipeta. In Bhadradri the new Guddam and Khammam districts of 185 crores have been completed in 1820. These four ministers are looking at the special focus of the double bedroom scheme in their districts. Housing Development Minister Indrakaran No Comments The construction of the house is only 45 houses in the Nirmal district. Target to build 3360 houses have not yet been constructed 50 double driproom houses since it is the only minister in the poofarman. The next election is about 100 houses in Nirmal Be sure that it's not finished The worst thing is that the TRS MLAs on this scheme are far behind. The MLAs will know how many people are in the unorganized situation. 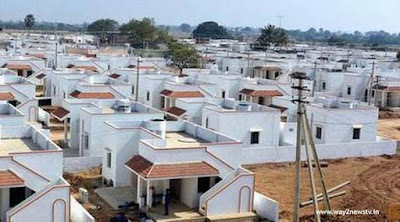 Nagar Kurnool, Wanaparthy, Medak, Sangareddy, Komaram Bheem Asifabad, One of the double beds in Jangam, Bhuvanagiri, Vikarabad and Medchal districts Kattalekapoyindi at least ten percent of the homes had to also.